My first ever sock! Well…I guess Murphy’s stocking is technically my first sock, but it didn’t seem sock-like. And actually, I frogged and reknit the heel-foot-toe of this one so many times that I feel as if I’ve actually knit 4 or 5 socks, but this is my finished product, at last. These (when I finish the other one) will go with the hat I knit earlier this week. There are a TON of mistakes in this…clearly picking up and knitting is not my strength, and my kitchener stitch needs practice…but it looks like a sock to me! Forgive me for posting before I finish its pair. I’m doing a little celebratory “I knit a sock” dance. 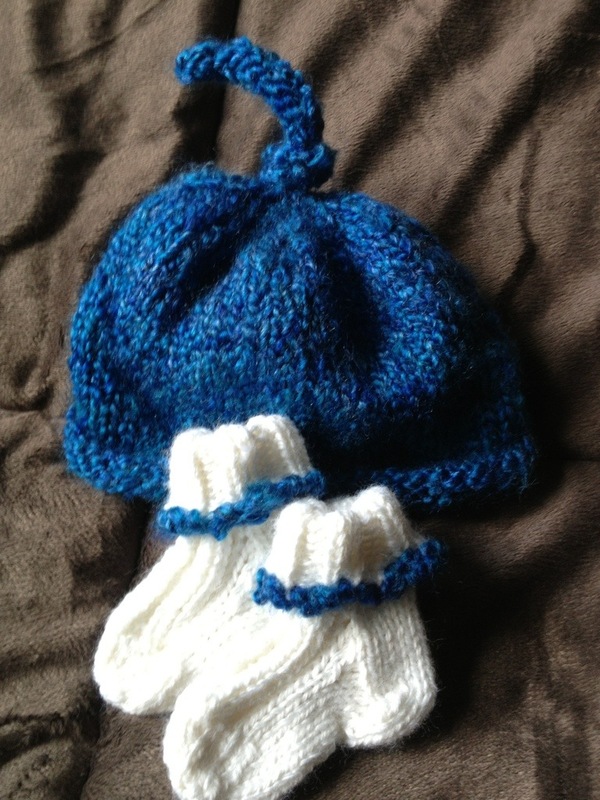 Cross your fingers…I think I might be able to make the next one the same size! The pattern is The Perfect Little Baby Sock. 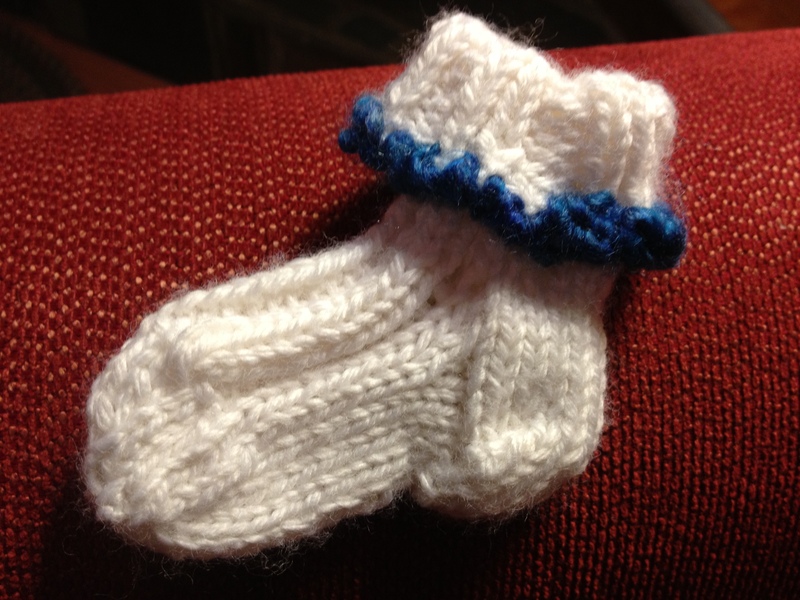 This entry was posted in Knitting Obsessed and tagged baby sock, kitchener stitch, knitting, Sock. Bookmark the permalink.